The gala event at Reliance Corporate Park was to commemorate Dhirubhai's birthday which falls on December 28. Mumbai: A newly built arena bigger than Lord's cricket stadium, Bollywood superstars Amitabh Bachchan and Shahrukh Khan in attendance and live proceedings being beamed at 1,200 places around the globe! That's how the India's largest private firm Reliance Industries paid tributes to its founder Dhirubhai Ambani. RIL chairman and India's wealthiest man Mukesh Ambani along with his mother, wife and children paid glowing tributes to Dhirubhai, as the group celebrated its 40 years of existence. The gala event at Reliance Corporate Park was also to commemorate Dhirubhai's birthday which falls on December 28. Paying tribute to his father, Mukesh said the group will remain true to Dhirubhai's ideas, vision and principles. "We owe all progress which Reliance has achieved to Dhirubhai," the RIL chairman said. His twin kids, Isha and Akash, were the hosts of the evening that saw his younger son Anant's appearance at the public platform for the first time. Isha said, "Reliance's journey has gone from spices to yarn, from rigs to retail, and foundation that our founder chairman laid yesterday has made it possible for us to reach staggering heights today." "Back in 1977 when our grandfather was starting Reliance, he reached out to common man of India and said profits will be yours and loss mine. These are not mere words, this is wisdom that no business school will ever teach us," she said. "An enterprise that started with just Rs 1,000 today has today turned into a 6 lakh crore company,' Isha added. Akash said investment of Rs 1,000 in RIL in 1977 now has turned Rs 20.9 lakh today -- an increase of 2009 times in 40 years. The RIL chief said, "My father is a timeless legend, and icon and eternal inspiration to all Indians of all generations... We will remain true to his vision, ideals and his principles." 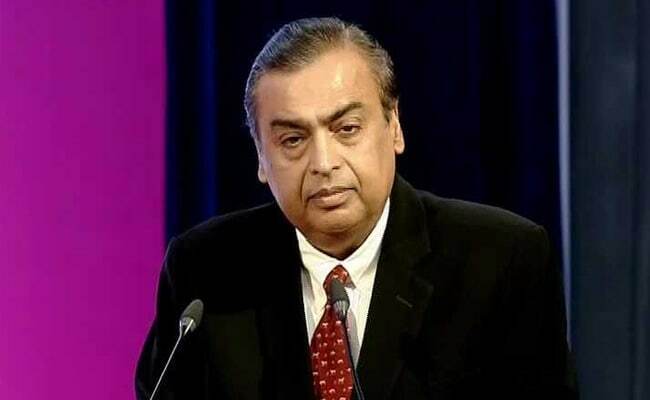 He said it is because of Dhirubhai that Reliance has grown from 1 employee to over 2,50,000 employees, from Rs 1,000 to a company of over Rs 6 lakh crore, from only one city to 28,000 cities and towns, and over four lakh villages. On this occasion, superstar Amitabh Bachchan said, "I believe the phenomenon called Dhirubhai Ambani could have happened only in India. Opportunity did not invite Dhirubhai Ambani to his dream... It is his dreams that invented that opportunity."